The reason why I’m so in the mood of doing this challenge is because I can hardly wait to introduce you the place where I happily called my home…. I came in the Netherlands as a proud student, but a wife duty tied me here to settle down. And for almost 7 years and still counting, I live in a small city in the eastern part of the Netherlands, called Wijchen (The Dutch pronounce it “wihen”). Wijchen is not big, therefore I’d rather call this city a village. Based on 2014 statistics, the total population of Wijchen is 40,956 people (source). In Wijchen, streets in most neighborhoods are numbered instead of named. This is not common practice in the Netherlands, therefore the street numbers are included in the house numbering. E.g. someone living in Abersland, 11th street, house #05 will usually use Abersland 1105 in his address (quoted from Wikipedia). Windmolen (windmill) and Kasteel Wijchen are the famous landmarks of Wijchen. Yesterday I had to come to the city center especially to take some pictures of this castle. An interesting fact is that this city named after the name of its castle, not vice versa. Note: All pictures displayed are snapped by mobilephotography, posted for English Friday Week 7. Beautiful Mba, especially the castle. Btw Mba, have you submit the link in the EF’s post? I’ve submit your link Mba, on behalf. Hope you’re not mad. I always want to know how they maintain a castle surrounded by water. It must not be easy because water tends to destroy things. Thank you for introducing your little ‘village’ to us Patricia have a nice weekend! Beautiful! 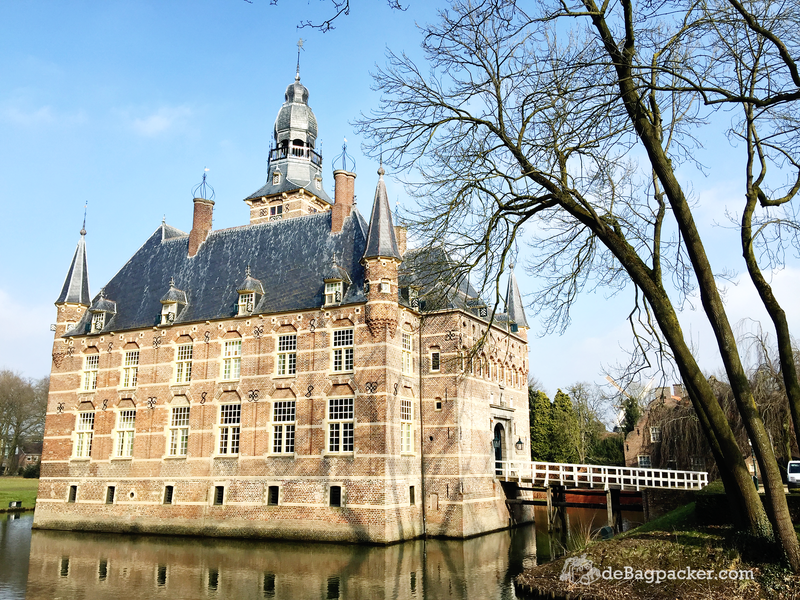 hopefully someday I can visit Wijchen to see the Kasteel, and meet you, perhaps ^^. Have a great weekend!